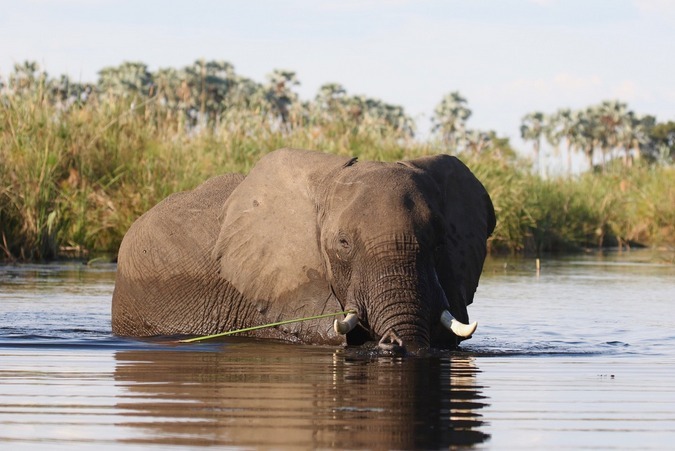 Botswana elephants – to trophy hunt and cull, or not? 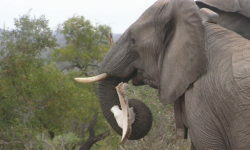 The current international furore over a Botswana government White Paper (discussion document) regarding elephant management necessitates an understanding of the entire picture. This post is one of eight posts from various sources looking at this issue from different angles. So you’ve been reading the press. Looks bad, doesn’t it? Botswana wants to shoot elephants for money they say. Not just that, but ideas for managing Botswana’s elephant population include packaging them up for pet food. The easy reaction is a horror-filled “how COULD you? !” Petitions do the rounds, while people ‘act now’ by stating their sadness on social media. But IS this action? 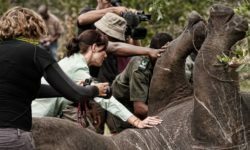 Can signing a petition improve the livelihoods of communities living with wildlife, while gaining none of its benefits? 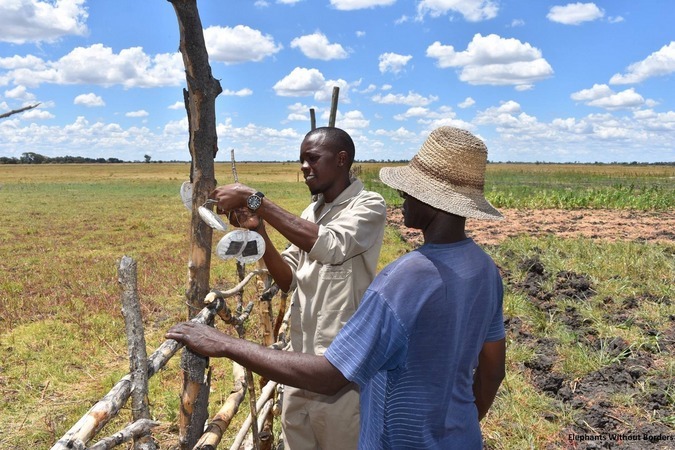 While I can’t claim to be a scientist with easy solutions to Botswana’s human-wildlife conflict problems, what I do know a bit about, is tourism. As the Marketing Manager for one of Botswana’s larger tourism operators, I spend most of my days either promoting travel to Botswana, or travelling in Botswana. I love Botswana so much that I made it my home. Put me in front of a breeding herd of elephants and I’ll stay all day. Elephants are ALWAYS doing something interesting, and I’m guilty of adding running commentary to their antics, at the risk of being considered insane. Now, over to my day job, when I’m standing in the office of a tour operator on another continent, who’s selling travel to Africa. When I make these visits, my intentions are twofold. Firstly, help people understand what Botswana has to offer as a destination. Then, recommend safari camps, areas and experiences which make the best Tinder match with their client book. “And the game viewing. Is it good there?” they’ll ask. And here we have our first roadblock. Yes, photographic tourism is a great income earner. It puts value on the land wildlife inhabits, just by letting the animals stay there. No need to plough a field and grow a crop, or bring in a gun and a taxidermist. We just need to build a safari camp, and the money will pour in. Or will it? People often blame hunters for being ‘consumptive’ when they visit wilderness areas. In order for them to be happy, an animal needs to be shot, stuffed and hung on the nearest wall – or so the feeling goes. But photographic clients also come with their own demands. Before they’ll get on the plane, they want the Africa they visit to match the Africa of their dreams. Unspoilt. Filled with wildlife and worthy of dinner table brags, like “that time a lion stared us down, not five feet away” and then, “pass the potatoes please. 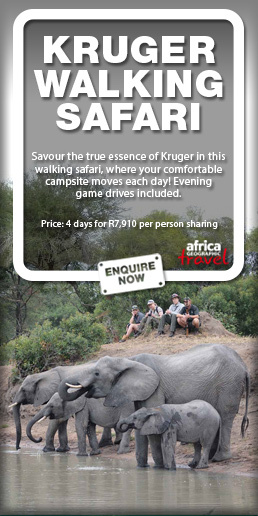 We can recommend a great safari outfitter after dessert”. But, in order for the story to be told, the lion needs to be seen. And so, those of us selling travel to Africa focus on offering the most remote, unspoilt safari possible, with the best-bet of seeing the most of whatever is out there. These travellers may not want a buffalo head to take home, but they sure as hell need a stack of ‘insta-worthy’ photos as their bounty. Lots and lots of photos. 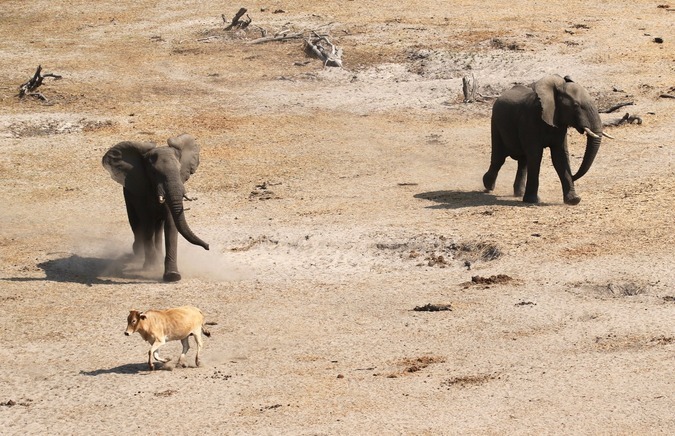 Elephants Without Borders’ recent aerial survey reports that only 20% of our elephants are in Botswana’s national parks (including Moremi Game Reserve). 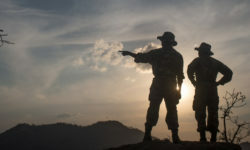 Another 57% are in Wildlife Management Areas and Forest Reserves, including not just the private concessions of the Okavango Delta and Linyanti, but also ex-hunting concessions which aren’t currently earning a tourism revenue. By contrast, 22% of our elephants (more than what’s in our national parks) are in pastoral or other unprotected areas (Chase et al, 2018), where communities are in conflict with wildlife, and tourism doesn’t improve their livelihoods. So why don’t we build safari camps in all these other areas, and spread the love a little further? Sadly, the photographic traveller is often just too fickle. The camps which make the most income from photographic safaris, are those which maintain the dream of unspoilt Africa: scenically pretty, full of wildlife, and far from villages and people living with human-wildlife conflict. An Africa which, for the most part, doesn’t actually exist: so, can only be found in very few places. 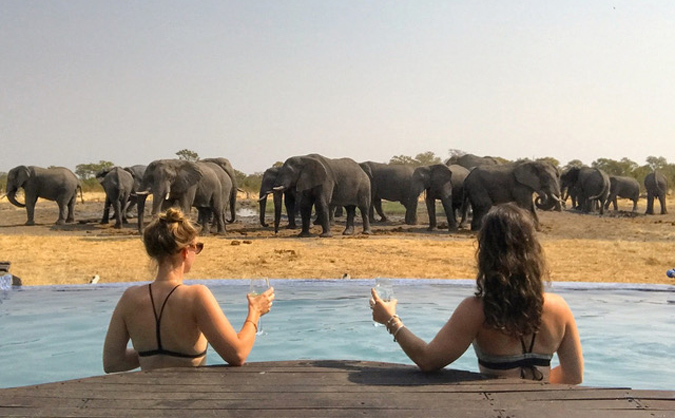 Send a traveller with a $3,000 a night budget to Ngwasha & Sepako, which have a combined count of 12,728 elephants (Mike et al, 2018) and they’ll demand a refund. All those elephants, why not visit? 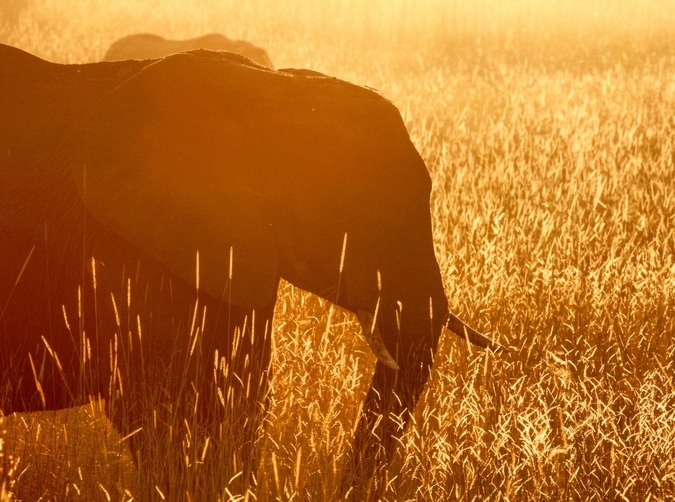 An area may host 12,000 elephants, but if its densely vegetated, you won’t easily see them. Further, if water is only seasonally-available for wildlife, animals will often just be ‘passing through’, rather than hanging around for months on end. 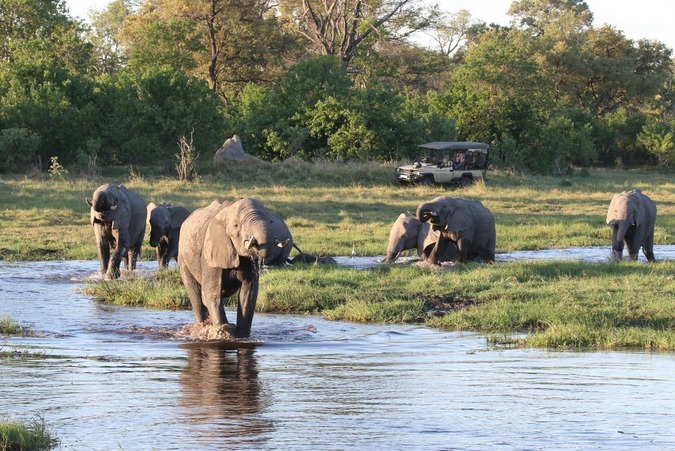 This is why so many of Botswana’s safari camps are based near permanent water instead. So, forget bragging at the next dinner party. But will a hunter go there? The answer is yes. Our tourism model is broken, how can we fix it? Forget relying on the two percenters who grace Botswana’s high-end safari camps to form the sum total of our tourism income. Most travellers can’t afford a USD$3,500 a night holiday anyway. If we want to increase tourism’s earning potential, get more people experiencing Botswana, and have more Batswana earning from tourism, we need to get more creative. Those of us selling travel to Africa need to reframe the way we present it. We need to stop teaching travellers that Botswana is pristine wilderness and wildlife, or nothing at all. 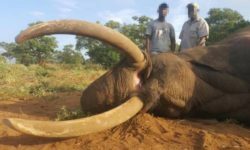 We need to encourage people to learn about human-wildlife conflict, and donate to organisations trialling mitigation techniques with communities (try Elephants Without Borders, Ecoexist or Elephants for Africa). After all, people have co-existed with wildlife longer in Africa than anywhere else on Earth. For those of you travelling to Botswana: seek out experiences beyond the straight-up safari. Support Batswana who offer unique ways of introducing you to Botswana, regardless of whether it includes wildlife or not. Those of us operating tourism businesses need to do better than just peddling animal spotting from the back of a vehicle. We need to create tourism experiences around villages and towns, and take the pressure off our wilderness areas. They’ll be cheaper to run, easier to access, and more affordable for the ‘average’ traveller. Smaller overheads mean greater opportunity for a more diverse ownership – including Botswana’s own citizens. In the meanwhile, I’ll be promoting what I love about Botswana more than ever. This is not the end of a conversation, but the start of an opportunity to diversify how people experience Botswana, and to create more opportunities for Botswana to show off her heritage to the world.